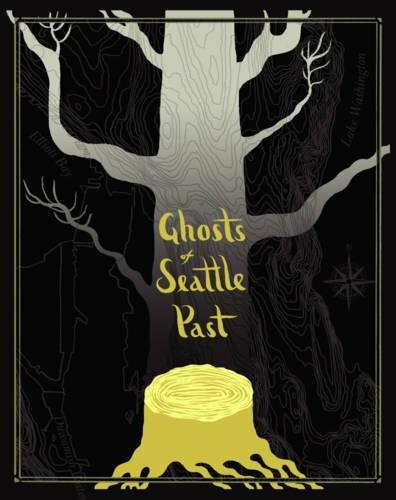 The Ghosts of Seattle Past anthology is available from Chin Music Press. You can buy the book directly from our publisher, at Elliott Bay Book Company, Indiebound, Powell’s, Barnes & Noble, or your local indie bookseller. Amazon also carries it, but we boycott them, and you should too. If you are in the Seattle area, you can visit the Chin Music Press showroom in the Pike Place Market, on lower level three; they are open from 11am to 5pm Tuesday through Saturday. Check out our book trailer here! To obtain a PDF galley or Advanced Reading Copy of the anthology for review purposes, please contact Rachel Green at Smarthouse Creative. Our (no longer active) submissions process is below, for posterity. On its most basic level, an atlas is a book of maps and charts. But the best atlases, the ones we pore over in libraries, feature glossy pictures, descriptions of the land, economy, and cultural traditions. They interpret the meaning that places hold, putting them into context for an outsider. The Ghosts of Seattle Past anthology instead aims to archive our beloved city for its insiders. We wish to bring into focus the memories Seattleites have of places they have lost to development, and to create a communal art piece that houses our nostalgia, our stories, our home as we once knew it. If you have lived in Seattle awhile, chances are, you have mourned the passing of a favorite music venue, art gallery, record store, restaurant, coffee shop, bar, bookstore, clothing shop, gathering place—a place that made Seattle unique, a place that felt like yours. The Ghosts of Seattle Past invites you to share your memories of those spaces here. Upload your photographs, drawings, and memorabilia. Write just a few lines, or submit a long-form essay celebrating a place you held dear. Use the medium that tells your story best. Your contributions will be curated into a living atlas to tour galleries and festivals, until it is overflowing with our collective nostalgia and stories. At that point, we will add our hand-drawn neighborhood maps of the places you’ve pinned. Then it will be published as an anthology by Chin Music Press, and made available far and wide. If you are under the age of 18, please provide your parent/guardian's email so we may confirm they consent to include your contribution. If we are unable to obtain their consent, we will not be able to include your submission. have the opportunity, Guess I’ll just bookmark this site.